Mariano Fortuny Marsal (1838 – 1874) was a catalan artist, incredibly famous while he was alive and creator of a very special and personal body of work. 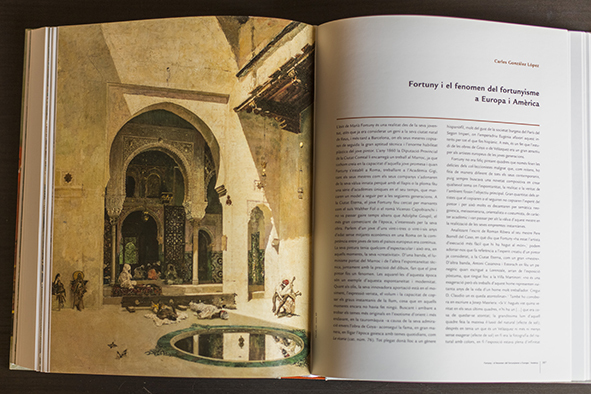 He was the best exponent of the “Orientalism” in Spain and so you can see lots of arab (he traveled to Morocco) and asian stuff in his paintings and drawings. He was great with color brushwork but my favourite of his stuff is he line art. He had incredible skills with pen and ink. Of course his paintings are wonderful too, but for some reason, I prefer pen and ink media. 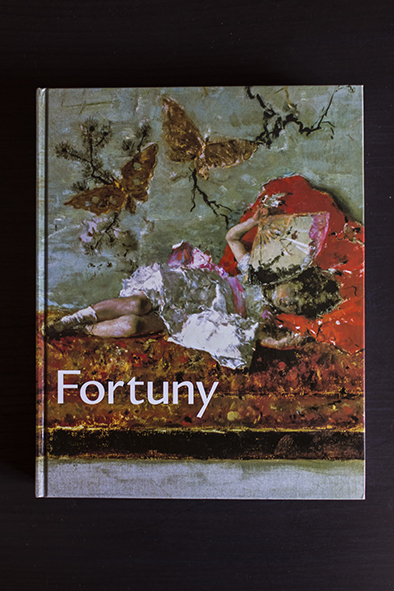 I have been looking for ages for a book about Fortuny and this is probably the best I could find. 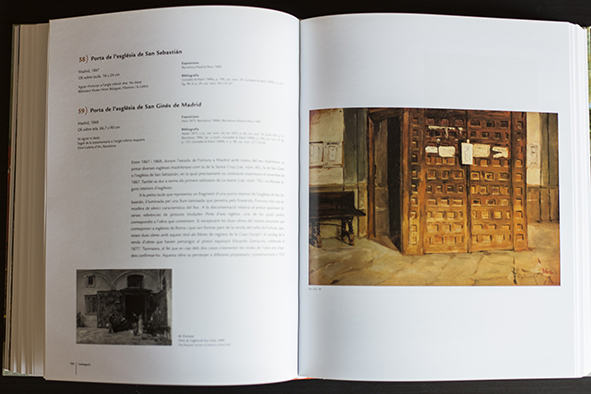 Is a huge, thick, hardcover book (almost 600 pages) and it is the catalogue of an exhibition that took place in 2004 at the Museu Nacional d´art de Catalunya, in Barcelona. 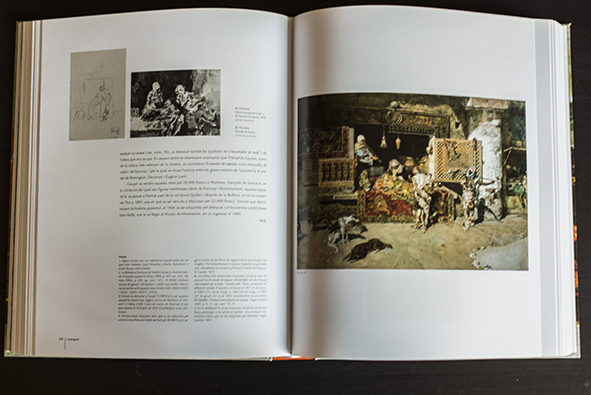 It is a gorgeous book full of text (my copy is in catalan but there is an english translation at the end of the book, and also a castillian edition exists), explaining us about Fortuny´s life and career from his very beginnings till the end of his too-short life. 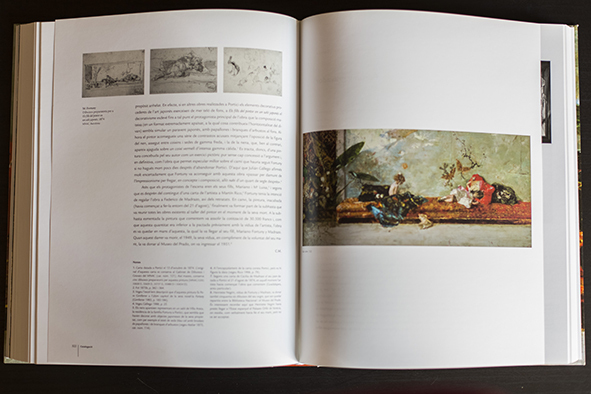 There is also a great bibliography, in case you want to get deeper into the painter´s work. 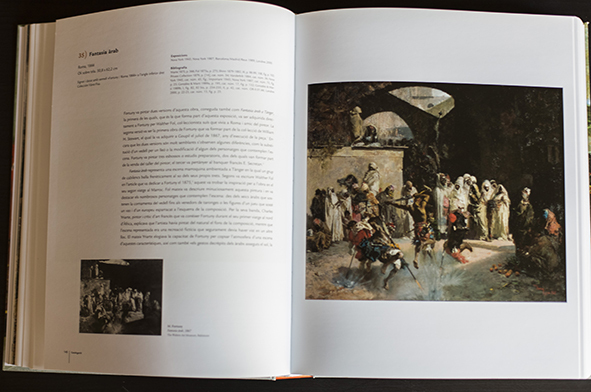 The book is very detailed in the descriptions of each and every picture depicted, usually showing us not only the painting itself but also sketches, corrections, previous versions. 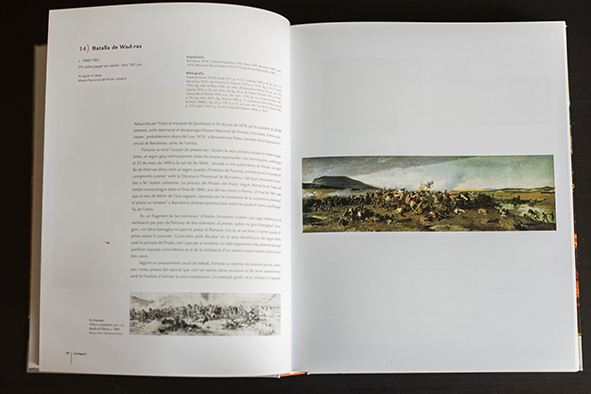 Being such a big book this means you will spend hours analyzing every piece of work (though some of the reproductions are sometimes too small) and you will learn a lot about this great artist, who is not so well-known outside Spain (or so is my impression). If you come to Madrid you can see some of his stuff at Prado museum. 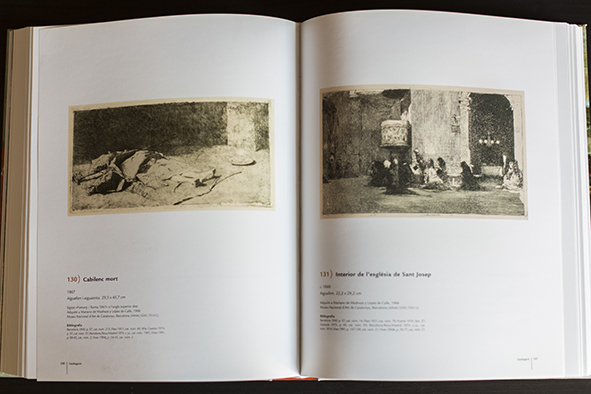 I would imagine that a trip to Barcelona would also be fruitful but I can´t recommend where to go to check out Fortuny stuff. It has been a while since I went there so my knowledge of Bareclona museums is severely handicapped. If anybody has any idea please let us know. 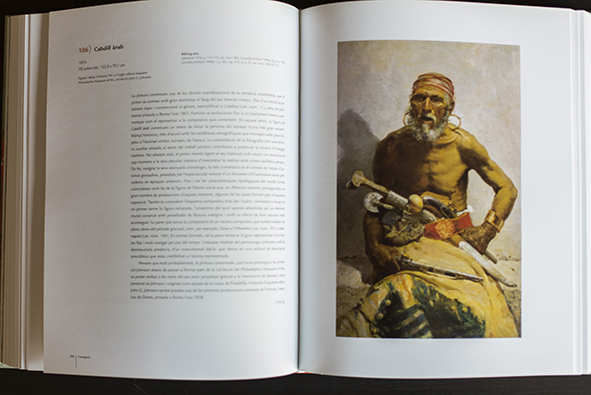 This book I bought in the bookshop of the Thyssen art museum, and it was not too cheap. You can find it second-hand in Amazon but I would recommend a trip to Spain, watch the museums, buy the book here and enjoy some sangría.